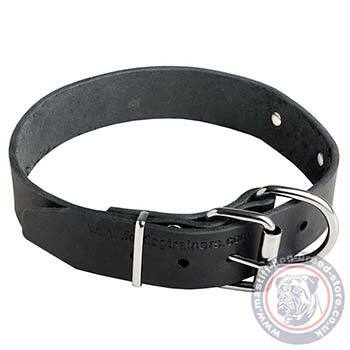 Get a leather dog collar with a buckle, a solid D-ring and an ID nameplate for daily dog walking and training. Colors: black, brown, tan. Secure your four-legged friend! 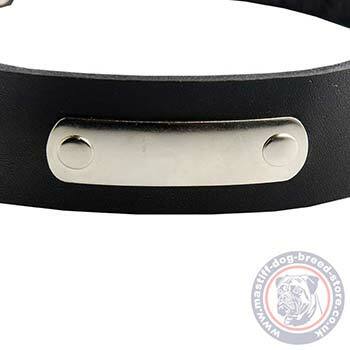 Get a top quality daily dog collar with metal nameplate. It is a simple, classic leather dog collar with buckle that is a first need dog accessory for daily comfort and control over your Bully! Natural leather dog collar with metal nameplate is well-done and waxed. Smooth polished edges will not wear out for years of regular use. 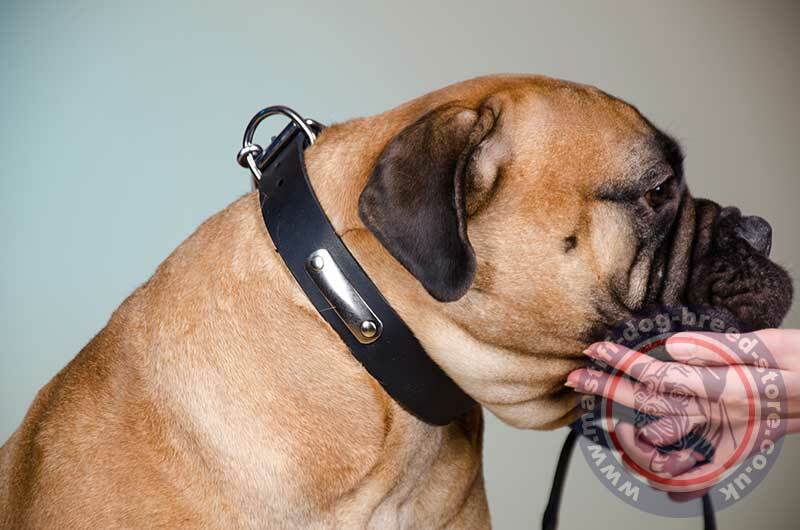 Bullmastiff leather dog collar is intended for a strong dog. Be sure it is under control! Rustproof hardware is made of chrome plated steel. 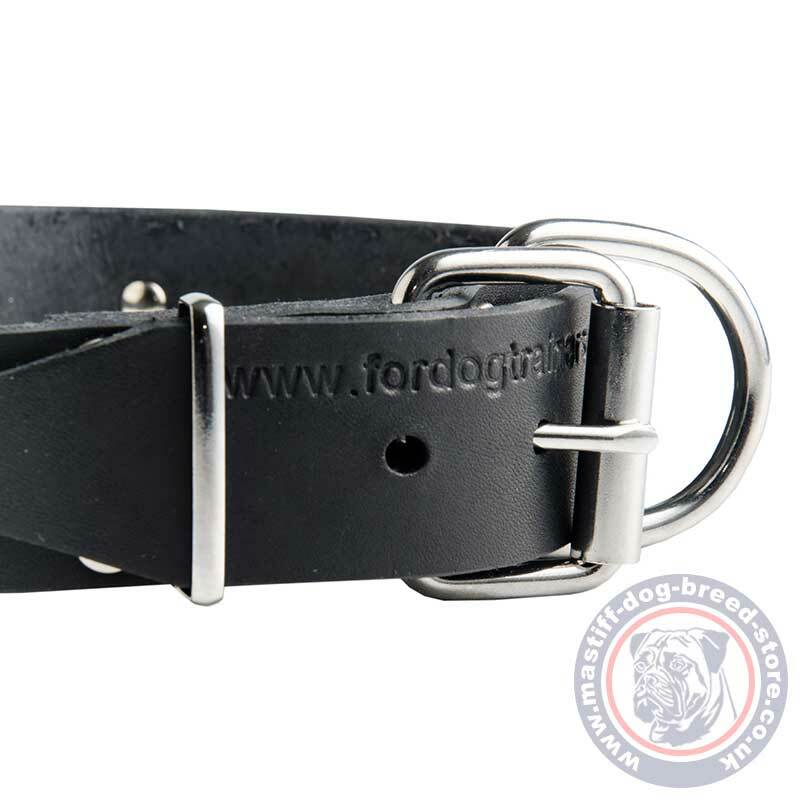 Strong buckle will help you to regulate the collar size while a dog is growing. 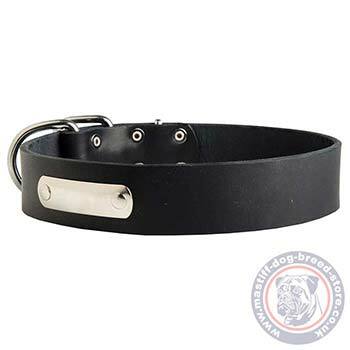 Solid D ring is a durable tool for dog walking on a leash. 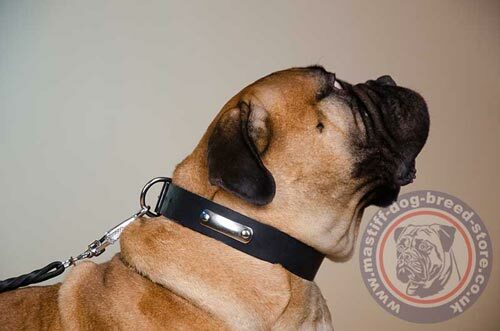 Simple and Perfect Dog Collar for Bullmastiff! Please, choose the neck size from the options at the top of the page and we will make collar fit on central hole.